The famous legend of Renekton’s Ascension revealed that a mortal did not have to be chosen by the Sun Priests, that anyone could rise up. So Xerath plotted to steal the power of Ascension. 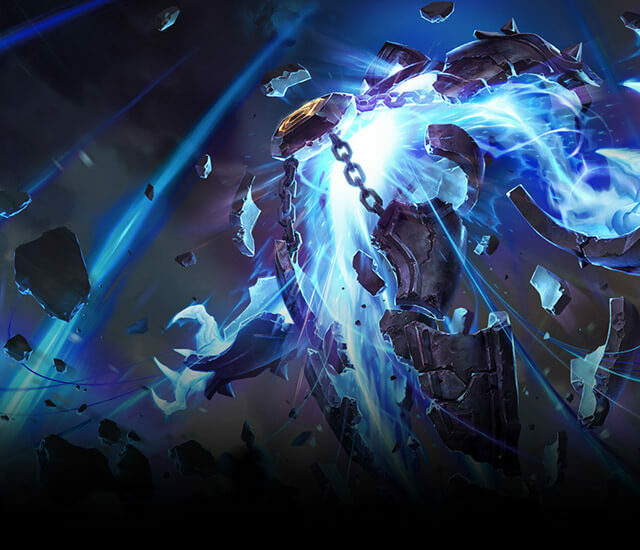 No slave could ever stand upon the sun disc, so Xerath fed the Emperor’s vanity, inflating his ego and filling his head with impossible visions of a world-spanning empire. But such a dream would only be possible if Azir could Ascend as the greatest heroes of Shurima had before. In time Xerath’s perseverance paid off, and Azir announced he would undertake the Ascension ritual, that he had earned the right to stand alongside Nasus and Renekton as an Ascended being. The Sun Priests protested, but such was Azir’s hubris that he ordered them to comply on pain of torture and death. The Day of Ascension arrived and Azir marched toward the Dais of Ascension with Xerath at his side. Nasus and Renekton were absent from the day’s events, for Xerath had arranged a distraction for them by weakening the seal on a magical sarcophagus containing a beast of living fire. When that creature finally broke its bindings, Renekton and Nasus were the only warriors capable of defeating it. Thus Xerath had stripped Azir of the only two beings who might save him from what was to come. Azir stood beneath the sun disc and in the final moment before the priests began the ritual, events took a turn Xerath had not anticipated. The emperor turned to Xerath and told him that he was now a free man. He and all Shurima’s slaves were now released from their bonds of servitude. He embraced Xerath before naming him his eternal brother. Xerath was stunned. He had been given everything he desired, but the success of his plans hinged upon Azir’s death and nothing was going to dissuade him from acting. Too many pieces were in motion and Xerath had already sacrificed too much to turn back now – no matter how much that part of him wanted to. The emperor’s words pierced the bitterness enclosing Xerath’s heart, but came decades too late. Unaware of his peril, Azir turned as the priests began the ritual and brought down the awesome power of the sun. With a roar of anger and grief combined, Xerath blasted Azir from his place on the dais, watching through tears as his former friend burned to ash. Xerath took Azir’s place and the light of the sun filled him, reshaping his flesh into that of an Ascended being. But the power of the ritual was not his to take, and the consequences of his betrayal of Azir were devastating. The unbound power of the sun all but destroyed Shurima, sundering its temples and bringing ruination upon the city. Azir’s people were consumed in a terrifying conflagration as the desert rose up to claim the city. The sun disc fell and an empire built by generations of emperors was undone in a single day. 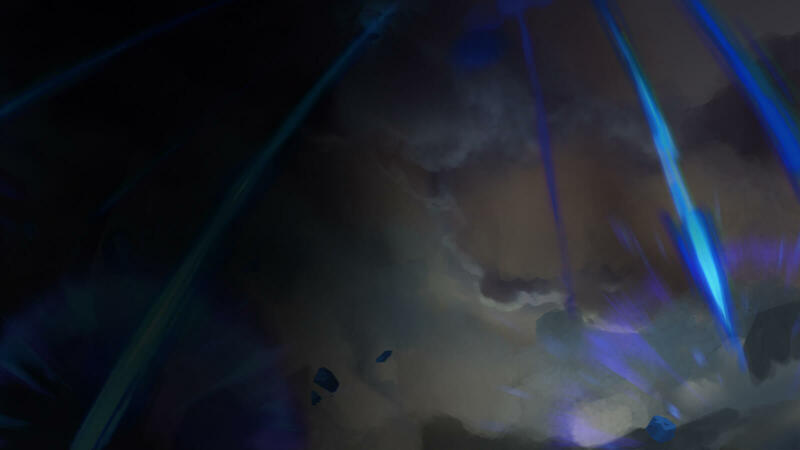 With Xerath’s treachery revealed, Renekton and Nasus rushed to the epicenter of the magical storm destroying the city. They bore with them the magical sarcophagus that had imprisoned the spirit of eternal fire. The Ascended brothers fought their way to the Dais of Ascension just as Xerath fell from the deadly radiance engulfing the city. Before the newly-Ascended Magus could react, they hurled his crackling body within the sarcophagus and sealed it once more with blessed chains and powerful sigils of binding. The very word when spoken aloud was an assault: We will Ascend, while you are chained to the broken stone as the sands of time swallow you all. No. Not anymore, and never again. The chosen golden lords will not be taken into the sun’s embrace and made gods. A slave will do this; a simple slave, a boy who once had the misfortune to save a noble child from the sands. Could he know? How could he possibly know? This spoiled, self-obsessed boy? This righteous, falsely benevolent emperor whose hands were just as bloody as Xerath's own? Even if he did, there was no staying the killing blow that was already in motion. Too late, friend. Too late, brother. Far too late for us all.